National Parks- Redwood, Trees that kiss the skies! How true? 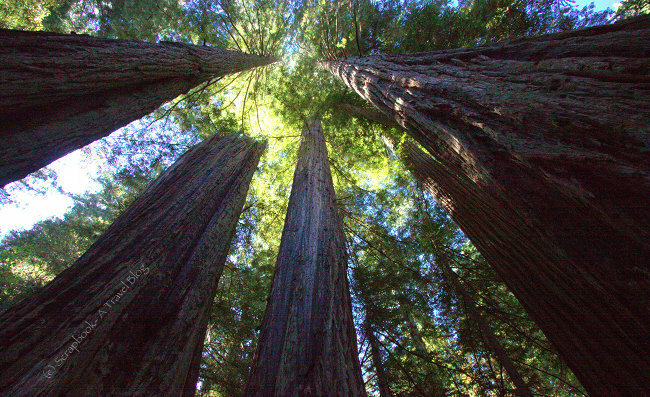 Coast Redwoods (Sequoia sempervirens) are tallest trees on Earth! I didn't really identify the tallest one because it is not marked, I know it exists here in the park with the name Hyperion. All the trees there looked very tall. Hyperion is 379.1ft or 115.5m tall measured in the year 2006. But, I definitely enjoyed the trails through these foggy coastal forests. I camped here beginning of September last year with rain pouring down. Reaching the campground late in the night was really an effort. The rain and the fog made it so difficult to drive in the poor light. After reaching I pitched the tent under a huge tree. Mid-night I was woken up by those raccoons scratching my tent. Early mornings were very foggy too. First, I went driving towards Prairie Creek Redwoods State Park to hike in the Fern Canyon and also the Coastal trail to reach the Gold Bluffs Beach. Well, drive to the Fern Canyon included winding steep uphill and downhill road, three stream crossings etc. I took a Toyota Corolla on this road but, it much advised to take a high clearance vehicle. 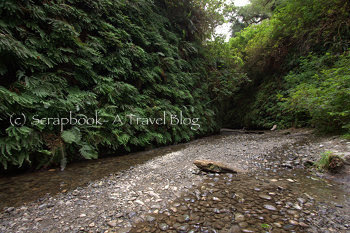 Cold and damp Fern Canyon is very interesting with thick fern covered canyon walls, with mushrooms all around. It seems the canyon was formed by the retreating ocean and the ancestry of some of the ferns covering these sheer shadowy cliff walls are traced back up to 325 million years! (info:NPS) I saw one tree frog and a salamander here, but no pics :( Gold Bluffs beach was almost deserted because of the rain storm. Only I could see were few seals/sea lions apart from few shorebirds. Prairie Creek Redwoods State Park is an Elk refuge. In the open grasslands I saw herds of Roosevelt elk. They were all around in the open grasslands of Prairie Creek State Park area. It was rutting season and this male was making whistling sound to attract females. 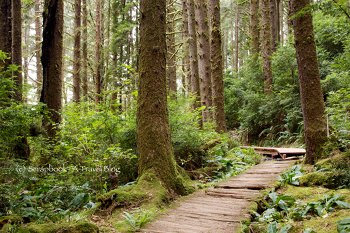 Redwood National Park together with the state parks protects 40-miles of coastline. From Fern Canyon I started driving north checking out each and every viewpoint mentioned in the park map. To reach some of the beaches and viewpoints one has to drive on mostly very steep dirt roads. But worth all the effort! My favorite viewpoint here is Klamath River Overlook where the river empties into the Pacific ocean after its (around) 250-miles journey from Cascade Range. It was stormy and cloudy all the time. Walking beneath the dull skies and the cold winds that were sweeping the beach weren't pleasant at the time. At high viewpoints the cold wind was almost blowing everything away and hence were almost deserted. Next day early morning, I went for the Tall Trees Grove where the world's tallest tree Hyperion is standing high. One has to take permission or pass from the National Park Authorities to drive in that part of the gravel road. This road is sometimes closed for the visitors. From the parking the trail is 4 miles long roundtrip. First, one has to go steep downhill to reach base of the grove. The ferns are very tall and the sunlight hardly reaches the ground. It is a bit eerie feeling to be all alone here. I didn't see any other hikers here on the trail or any car on the access road. Trees were impressively tall but, it was disappointing not to identify the tallest one. I could not see the tip of these trees and felt they were trying to speak to the heaven indeed! After some time my neck started hurting looking up constantly. 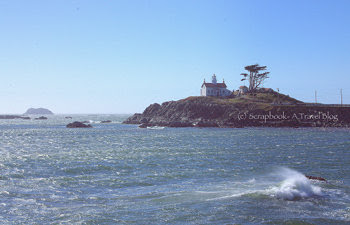 From there I drove north to Crescent City which 15-miles from California-Oregon border. Stopped at Crescent Beach overlook to see the long stretch of beautiful beach. Visited Crescent City information center for some information and headed to the Battery Point Lighthouse. I could walk up to the island because of the low tide. It was a fun to hop over the rocks to reach the lighthouse. Walk over Bull Seal Wharf was fun, though it was very windy. Visited Jedediah Smith Redwoods and Del Norte Redwoods State Parks to see some more Coast Redwood trees before heading back to the campground. Next morning I headed back south. This time I took Avenue of Giants drive. It is a scenic drive with gigantic trees lining up the road. Magnificent!! This drive is the best way to end the trip to Redwood National park, a trip to remember! Leave a comment to share your beautiful thoughts. 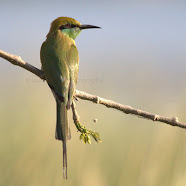 If you have enjoyed this article then connect with Google+, Twitter, Facebook or subscribe through email for more exciting updates on destinations! It is an awesome place isn't it, Kusum!! I haven't been there in several years and your pics brought back lots of great memories!! Wonderful captures and post for the day!! Thanks for sharing! Hope your week is going well!! Glad this article brings back lovely memories for you Sylvia! Thanks! incredible place. i'm glad to see that you made it to fern canyon, i didn't because it was raining when we went and we didn't have 4 wheel drive. I love visiting the redwoods forests - it is a good reminder of how small we humans are in the scheme of things! Oh yes! Little mean people we are! Your pics will make great postcards. Love them all. Really beautiful national park! Love your photos! 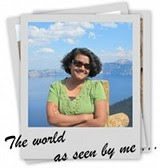 Welcome to my blog Renuka. Glad you found this post interesting. Hope you will come back for more interesting articles! Beautiful shots - what an adventure you had! Such a wonderful place. Those trees look so grand! Nice post, Kusum. Beautiful pictures..thanks for the memories! Hello my loved one! I want to say that thiis article is awesome, great written and come with approximately all important infos. I would like to peer extra post like this.